Could someone turn on the air conditioner outside? Sweating is no longer my favorite kind of exercise and even though the heat is still better than my humid memories of Indiana, my cooling system ain’t what it used to be. But for us more mature folks, summer heat can cause major health problems particularly dehydration. The Oregon Department of Human Services cautions, “Not getting enough fluids each day can take a tremendous toll on every aspect of bodily functions, including possible changes in memory, vision, and kidney and heart function.” This is especially true for seniors because the percentage of a person’s weight in water changes as we age from about 80% for children to only 43% for women and 50% for men between the ages of 61 and 74. Consequently, any decrease in fluid consumption can cause proportionately more dehydration. To prevent dehydration, you should drink at least six cups of liquids many times throughout the day and avoid drinking caffeinated beverages such as coffee, tea and caffeinated sodas which act as diuretics. Instead, try drinking flavored carbonated water, or decaffeinated ice teas or just add a slice of lemon to a glass of water. It doesn’t take an OSU graduate to know to stay cool, but not everyone has air conditioning and with a prolonged heat wave homes can get pretty warm. So take time to check on neighbors and relatives to make sure they are able to handle the heat. But if you still need a little mental interlude, imagine a cool, late autumn Sunday afternoon; you and twenty others are traveling through the fall colors of the Gorge on your way to Portland to see the matinee performance of the Singing Christmas Tree; the 105 degree summer heat is long past and a lovely holiday performance is ahead. For the second year, the Center has reserved seats for the holiday tradition, Portland’s Singing Christmas Tree on November 29th at 1:30 pm. The cost will again be around $65 including transportation. If interested, call the Center at 296-4788 or drop in and sign up.. Before long, we will be listening to Christmas music and wishing for the warm days of summer, but maybe not this warm. If you want a more immediate respite from the heat, come to the Center tonight and enjoy the cool sounds of the Jazz Generations. They are a great dance band and you don't often have the opportunity to dance to the big band sound. Next week the Cherry Park Band will be playing and though several of the regulars will be vacationing, there is plenty of talent in that bunch to fill in. Admission is free but donations are always appreciated. The Center offers a weekly opportunity to sing with the Young-at-Heart Seranders from 10:00 to 11:30 every Wednesday. But before they start back this September, Shirley Martin is looking for someone to take over as musical director. If you are interested in taking the baton, call the Center at 296-4788 or Shirley at 296-8715. The only correct response to last week's question was Steve Bungum who listened to the Breakfast Hour when Don McNeil would call the kids “to march around the table”. This week’s question is a bit easier. Who was the voice of Mr. Magoo? Since Steve said he is no longer a breakfast type of guy, the first correct answer this week will win two tickets to next month’s Saturday Breakfast on August 15th. Until we meet again, stay cool and think on the bright side, it’s too hot to do yard work. We all know the importance of food as nourishment to the body and soul, and fortunately, in Wasco County there are several meal sites providing that nourishment by serving noon time meals primarily for folks 60 and over. But Meals-on-Wheels is more than a meal. Meals-on-Wheels also reaches out. Last winter, when drivers found the sidewalks nearly impassable, Meals-on-Wheels contacted Boy Scout Troop #395 who went out that same day to shovel sidewalks and walkways. And for Christmas, Meals-on-Wheels, through generous donations, purchased gifts for the folks on the home delivered routes causing one older gentleman to cry because it was the first Christmas gift he had received in years. But besides the home delivered meals, Meals-on-Wheels offers a daily meal at the Center which brings folks together to meet and connect with old and new friends. You can join in the fellowship; learn about new activities and find out you are not alone. The Center supports Meals-on-Wheels because we share a common building, common friends and a common mission - promoting healthy aging - but most importantly because every day we see Meals-on-Wheels and their volunteers doing great work. And if you want to meet more fine folks and enjoy more good food, visit the Pioneer Potlatch meal sites in Wasco County: Dufur - serving every Tuesday, Tygh Valley - serving every Thursday, and Mosier -serving every Monday and Wednesday. Tonight the Sugar Daddies are playing for your listening and dancing pleasure and next week the big band sounds return with the Jazz Generations. Admission is always free but to keep the music flowing donations are appreciated. And this Sunday, the Center will be hosting the Sunday Pie and Jam Social from 2 – 5 pm. The answer to last week’s question was House Party, the television show hosted by Art Linkletter that included the segment "Kids Say the Darndest Things". You can see highlights from the show on the Center's blog at midcolumbiaseniorcenter.com. This week’s question suggested by Joanne Scott is a tough one. What radio host on his morning show called the kids “to march around the breakfast table”?" As a child Joanne use to listen to the show and as she said "was just dumb enough to do it". And finally my Monday morning editor, Zelta Wasson, is taking a short vacation at MCMC. I can think of less expensive vacation locations, but the service is good. So Zelta, we are thinking of you and expect to see you back real soon. I need all your help I can get. Until we meet again, in anger, as in chewing, it is best to keep your mouth shut. She was thinking about the sign she saw at the grocery store identifying the birth date after which one could buy alcohol and realized in a year and a half she would be 21: the age of independence, responsibility and adulthood; no longer poppa’s child and soooo old. There are always events that remind us we are getting older whether it is the store sign, your children’s first day at school, their first swim lessons (and the first time you realized they can swim faster than you) or when they graduate from high school and then land their first job. (But as it has been said, you aren’t really old until your kids are on Medicare.) So “old” is all a matter of perspective and unavoidable. At every age whether we are 19 or 91 we experience the blessings and accept the burdens; discover the hidden treasures and the fool’s gold. And the encouragement I use to give my kids when sending them off to school is probably good for any age: “give it your best”. 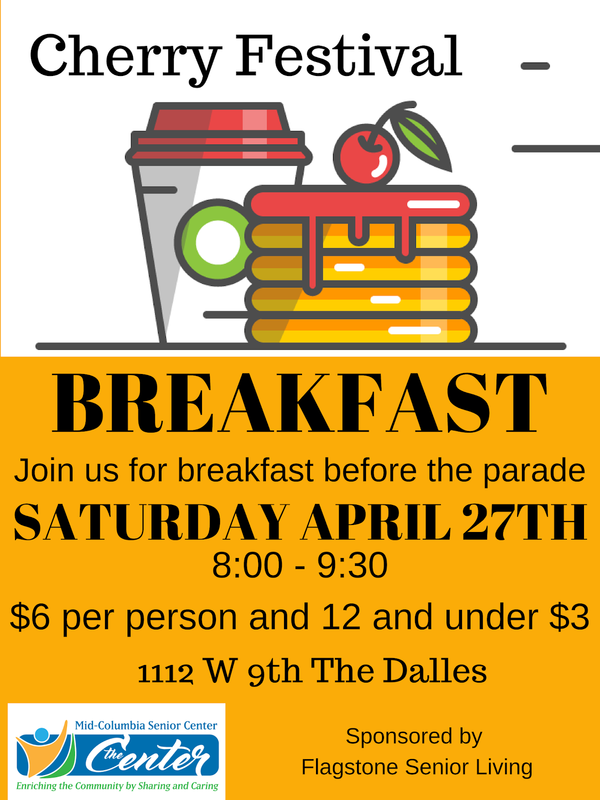 The Center will be hosting its monthly breakfast this Saturday before the Fort Dalles Pro Rodeo Parade. 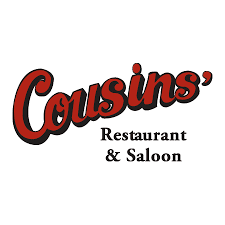 The breakfast is starting at 7:30 a half hour earlier so everyone can enjoy a nice delicious breakfast (and meet the rodeo royalty) and still have time to watch the parade. It will be a busy morning so why don't you let someone else do the cooking. 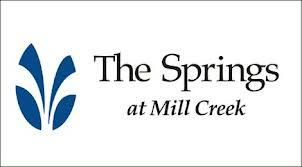 The breakfast is sponsored by Patti Blagg the Center's Friday afternoon volunteer receptionist and also a promotional products consultant who can find the right item to promote any business. Tonight Boyd Jacobsen has lined up the Hardshell Harmony to play again because you can never get too much of a good thing. Everyone is welcome whether friend or foe, young or old, blue or green. It doesn't matter as long you love good music and the high energy sounds of bluegrass. Admission is free but donations are gladly accepted. A big thanks to all the folks who have responded to the Center's request for donations to help support the expansion project. Every dollar will help make the dream come true. You can learn the latest news about the expansion and the activities for this fall at the Center's Annual Membership Meeting on Tuesday, July 21st at 1:30 pm. We have just sent out the meeting notices to current members and reminders to those who may have forgotten to renew their membership. It is never too late to join. Eight folks correctly identified the Shadow as the answer for last week's question including Jim Heitkemper who also identified Lamont Cranston as the Shadow's alter ego. But the first correct answer was from Ron Sutherland. And this week’s question (and the last chance to win a free breakfast) is, "What was the name of the CBS show hosted by Art Linkletter that featured the segment "Kids Say the Darndest Things"? Email your answer to mcseniorcenter@gmail.com. That’s it and I’m just a little older. Until we meet again, whether we are young or old or hot or cold “to everything there is a season”. And as an added bonus here are some highlights of "Kids Say the Darndest Things"
As we age, we enjoy joking about the challenges and foibles associated with becoming more mature? or is it more experienced? - or as we hate to admit it, just plain older: the nightly bathroom trips, the hearing aids, the stiffness and the all too common "senior moments". But although there is undoubtedly some truth in all of these common perceptions, many of us accept these conditions or limitations as inevitable and unalterable and become our own worst enemies to enjoying our later years to the fullest. Did you hear about the 83 year old woman who talked herself out of a speeding ticket by telling the young officer that she had to get there before she forgot where she was going? As we grow older, there are many things we just no longer want to do or have to do. I no longer want to climb up on the roof. You may no longer have to punch the daily time clock. But that is different from avoiding a new experience because we feel we are not capable. It is not healthy to pass up opportunities to explore and contribute because we have accepted the common perceptions and limitations of our own aging. Sometimes, when learning a new skill that takes too much time or seems too hard, we think it is because we our too old. But learning anything new is hard and always has been hard whether it was learning to read, ride a bicycle or play the piano. Maybe it is because we have forgotten how long it has taken to us learn all that we know in our 50, 60, or 80+ years, we somehow feel we should be able to learn to use a computer or a new dance step or any new skill in a few short days or weeks or heaven forbid if it takes us several months. No doubt, there are changes. We don’t rush around as fast, we see more in grays instead of blacks and whites and hopefully we make better decisions based on experience which are all good. But the difficulties in learning we attribute to aging are overstated. At every age and stage in our lives, we are capable of doing more than we think if we allow ourselves to take the risk, take the time and make the effort. At the Center, The Hardshell Harmony will be performing next Tuesday and tonight Truman Boler will be playing his country classics. The music starts at 7:00 and is over by 9:00, in time to get home before dark. The show is free but generous donations are generously accepted. The Center will also be holding a rummage sale in the basement on Friday the 10th and Saturday the 11th from 9 – 3 pm. We had two correct answers last week from Joanne Scott and Tom Sofie identifying Gunsmoke, which ran from 1955 to 1975, as the longest running western TV series. To win a free Ft. Dalles Days Breakfast at the Center on Saturday July 18th, be the first to email me at mcseniorcenter@gmail.com the answer to the following question: What radio drama started with this question: 'Who knows what evil lurks in the hearts of men'? Until we meet again, keep moving, keep laughing and keep dreaming. Television is a far cry from when there were only three major television networks, late night television test patterns, and if you missed a show you would have to wait for the summer rerun. Not anymore. With the Internet and YouTube, you can watch a program again at your own convenience or even send a news clip to your friends across the globe. And this is a good thing if you happened to miss seeing the Center and Meals-on-Wheels on CGN7 or Carl Kramer on KATU. CGN7, channel 7 on cable TV, has expanded their local programming and initiated a new series called "Making a Difference" focusing on non-profits in the Gorge. For their first episode, they chose the programs and activities provided at the Mid-Columbia Senior Center and the Adult Center in Hood River. They particularly highlighted the good work provided by Meals-on-Wheels and their dedicated staff and volunteers who serve between 140 and 180 meals five days a week. Meals-on-Wheels and the Center do make a difference and it is nice to be recognized. The series airs at 8:00 PM on Thursday evenings or you can watch it on the Internet at www.columbiagorge.com. Also the KATU news crew came to The Dalles to report on our own centenarian, Carl Kramer, who exhibited his usual grace and humor. Several weeks ago someone stole Carl's new scooter which he had recently bought to replace his old "Ferrari" scooter. Many days Carl would ride his scooter to Meals-on-Wheels at the Center for lunch and now he has to rely solely on the bus. If you haven't seen the news clip and want to see Carl or maybe spot yourself in the lunch crowd, you can go to the Center's web site at midcolumbiaseniorcenter.com and click on the link. The Center is hosting a rummage sale to rid itself of many items that have been stored in the basement for some time. We will try to follow the "two year" rule: if it hasn't been used in the last two years, it goes. But there are several keepers of the history who will make sure I don't toss anything of significance. The sale will be in the Center’s basement on Friday and Saturday July 10 and 11th from 9 - 3 pm. As the saying goes “one man's junk is another man's treasure”. Truman Boler and his one-man-country-jam will be back next Tuesday Night to perform for your dancing and listening pleasure. And tonight is a special treat with a visit from the Dufur Boys. As I was reminded this Sunday, dancing is good for the body and spirit and helps wash your cares away. Music starts at 7:00 and is free but donations are graciously accepted. "The Senior Center puts on a great breakfast, but I would rather eat at Alice's Restaurant" was Joanne Scott's correct answer. Alice's Restaurant sung by Arlo Guthrie was released in 1967 but the answer to this week's question started in the fifties. What is the longest running prime time western television series and was number 1 from 1957 - 1960? Email me the correct answer at mcseniorcenter@gmail.com and you too can win a free breakfast at the Center on July 18th before the Ft. Dalles Parade. That’s another wrap. The Center and Meals-on-Wheels will both be closed Friday and Saturday for the extended Fourth of July weekend, so you’re on your own. Until we meet again, don't forget Carl Kramer’s secret to a long life. “You inhale, then you exhale, then you inhale, then you exhale, then you inhale, then you exhale and if you can keep that up long enough you're going to be a hundred years old."